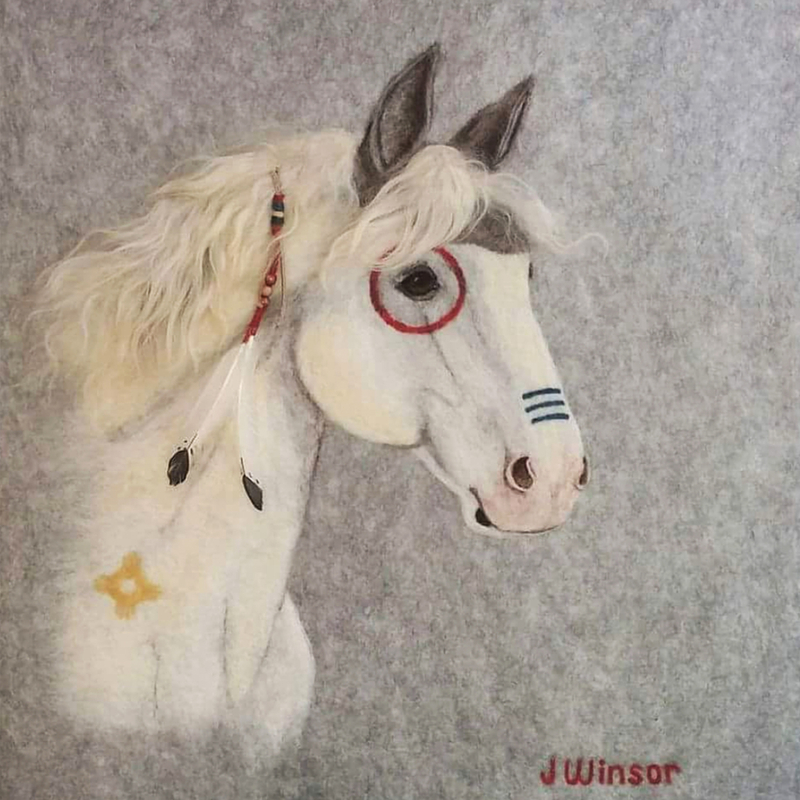 At Four Winds Farm, I make anything fiber art related, from fine art wool pictures and wool sculptures to functional wool dryer balls. 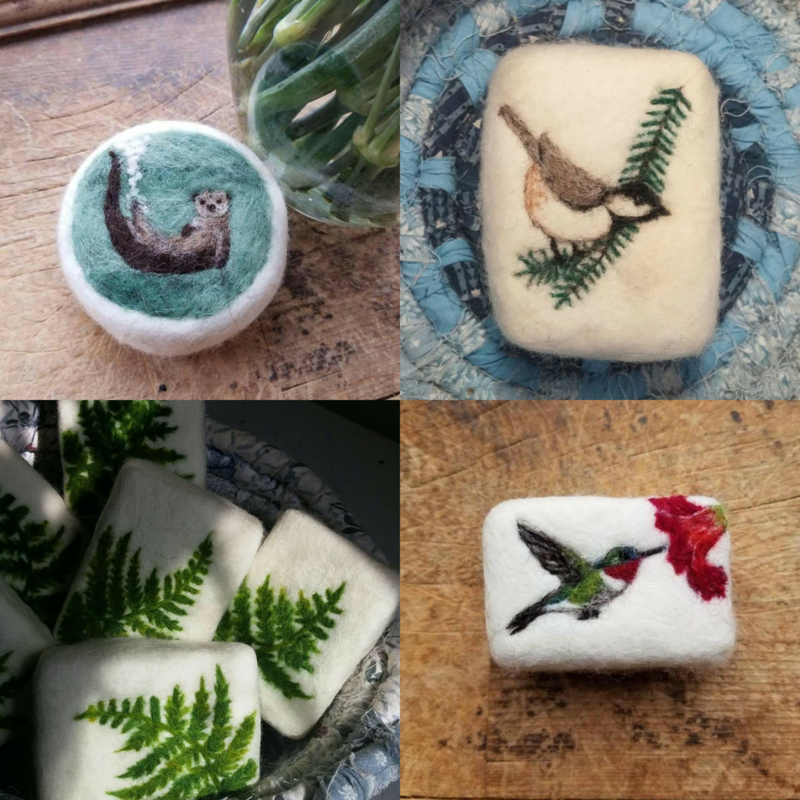 Somewhere in between art and function are felted soaps. 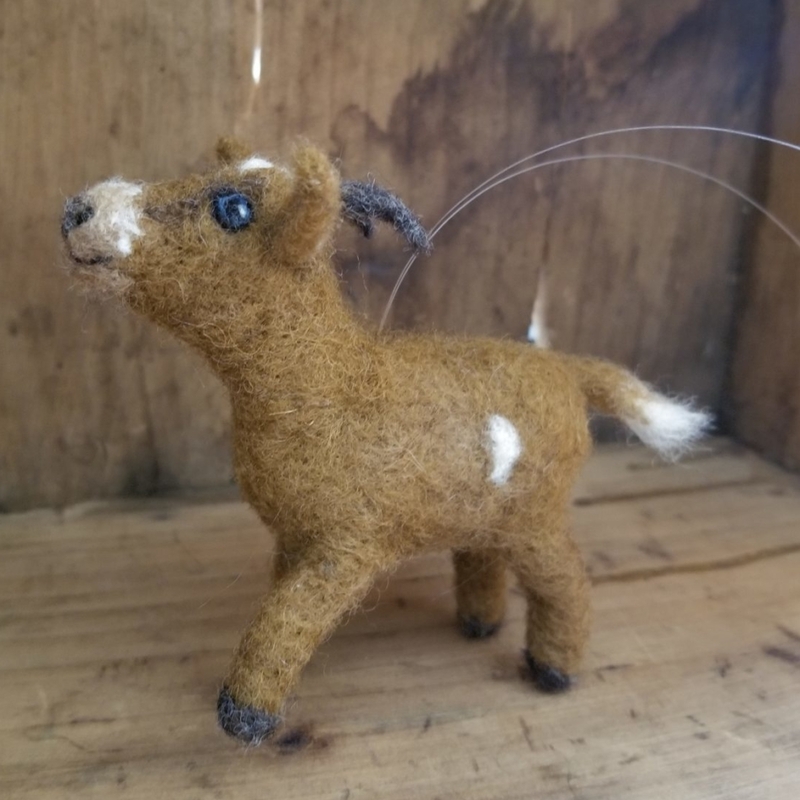 My felted goat milk soaps are a collaboration with Maine Made member Knotty Goat Soapery. Shea Rolnick makes high quality all natural soap using milk from her pet goats. I cover the soap with wool and felt pictures on them using wool from my sheep, rabbit and/or local alpaca and sheep farms including sustainable plant dyed fiber from Lana Plantae Farmed Yarns also a Maine Made member. Whenever I have to out source materials I buy from other small farms and businesses in Maine. 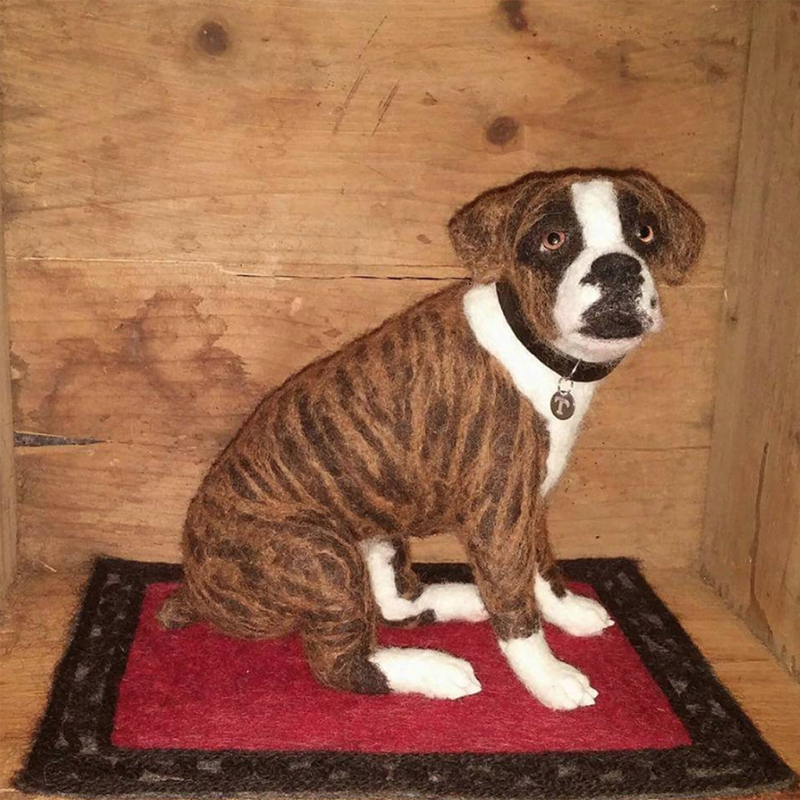 If I can’t get what I need in Maine, I buy from small businesses as local to Maine as possible.